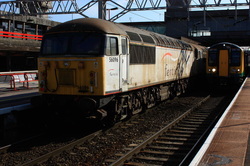 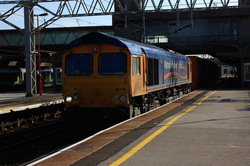 On the way south to Gloucestershire, a visit to Stafford for GBRfs 66/7s, and the Grid convoy. Put together with a pleasant warm spring day, and meeting some gen providers from the Midlands, many thanks to Dave and Gavin. 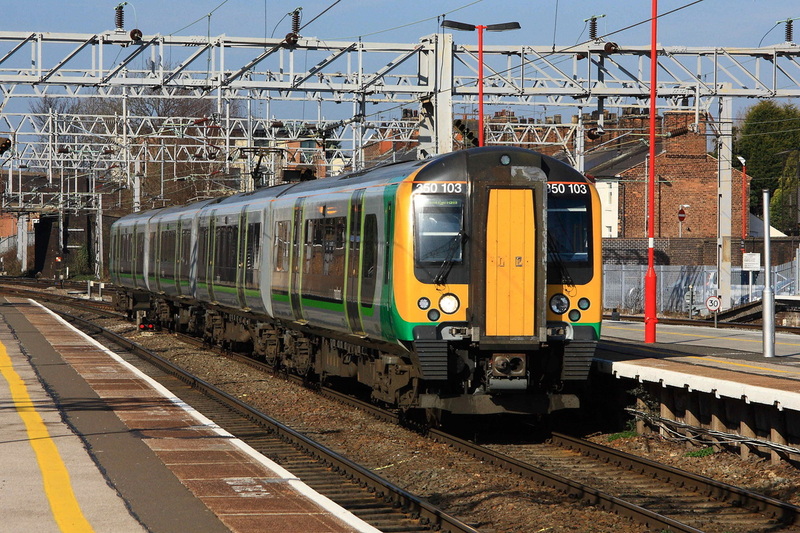 Soon to appear north of Crewe with First TPE, once electrification to Wigan is completed in 2031/2014 , should be a lot more comfortable than the present diesel 185s. 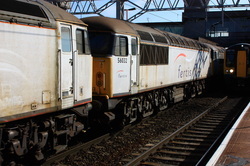 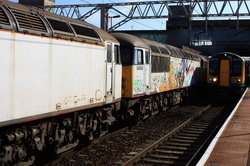 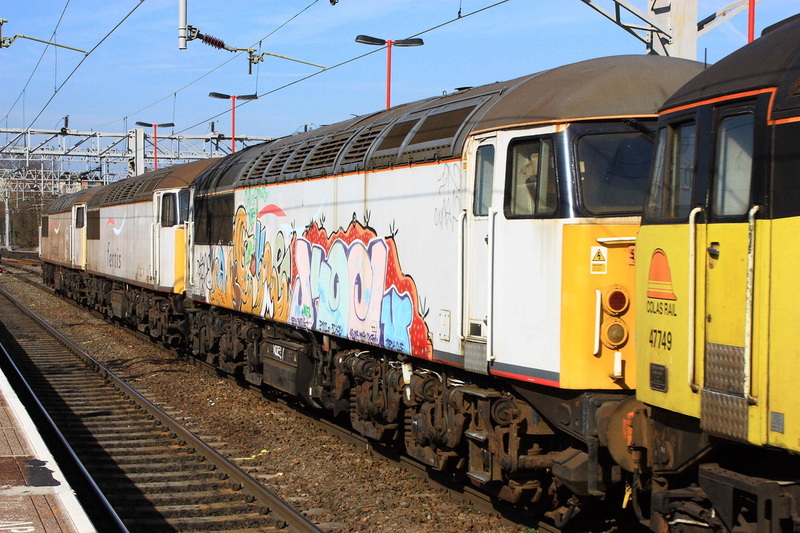 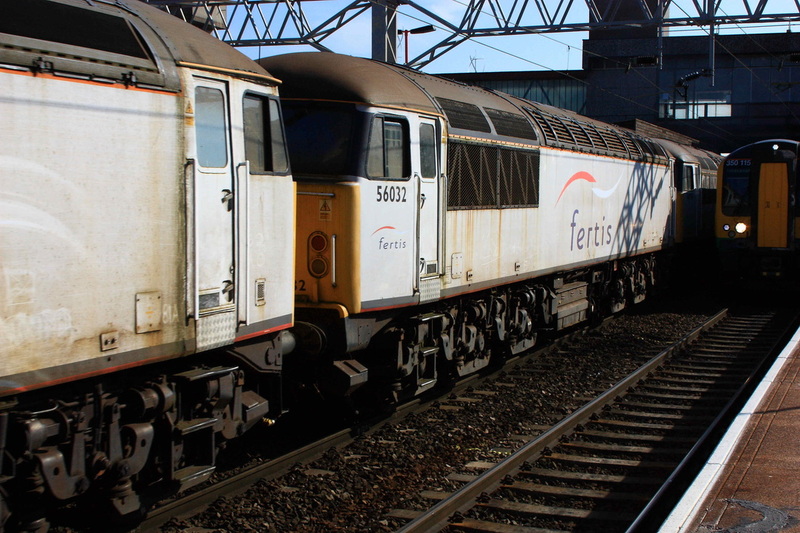 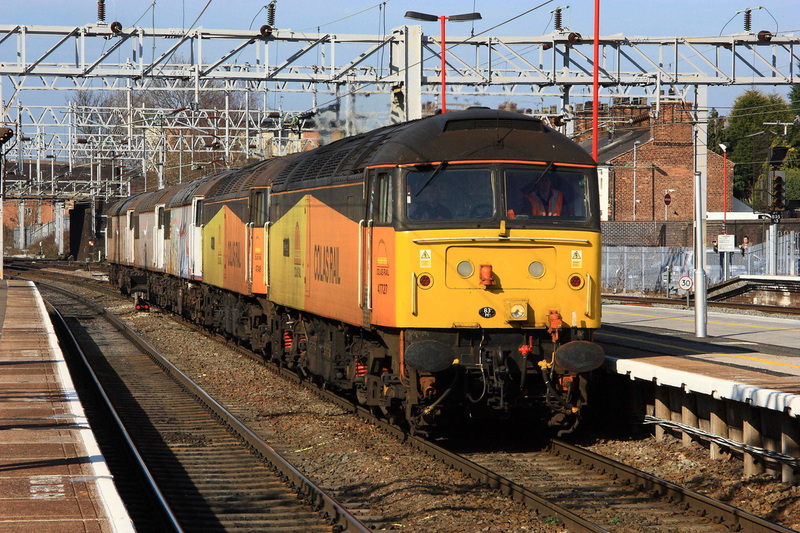 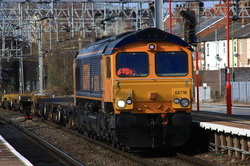 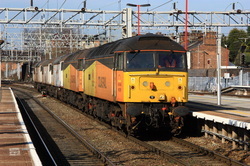 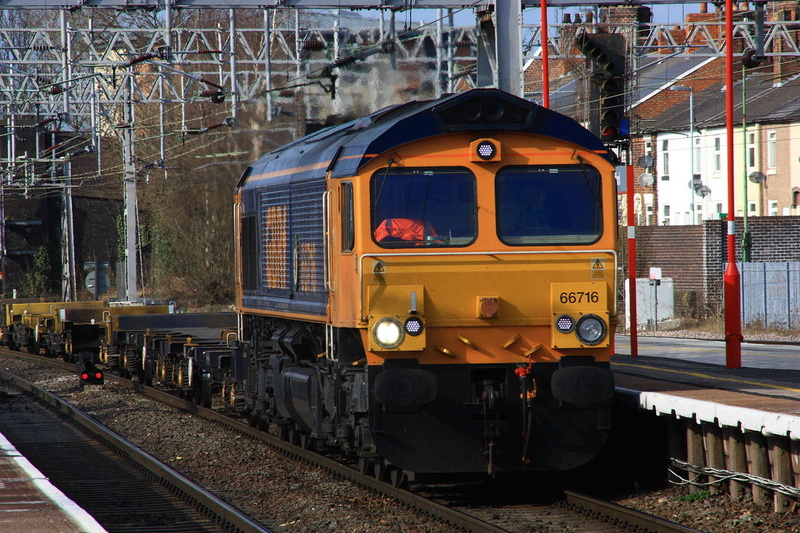 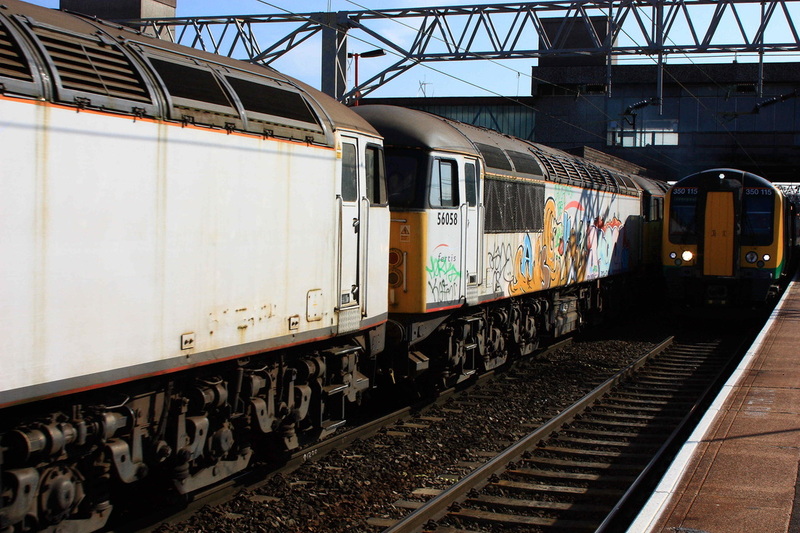 GBRF 66716 works south with 4L18, an empty Trafford Park-Felixstowe liner. 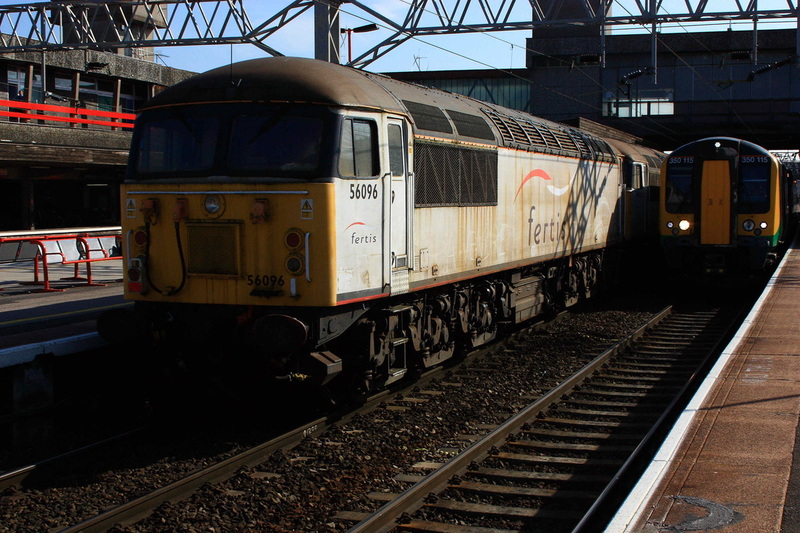 Nearly bowled by a LM 350 unit! !